Now you can look fashionable and be protected at the same time with our ladies comfortable zip neckline UV protective shirt. 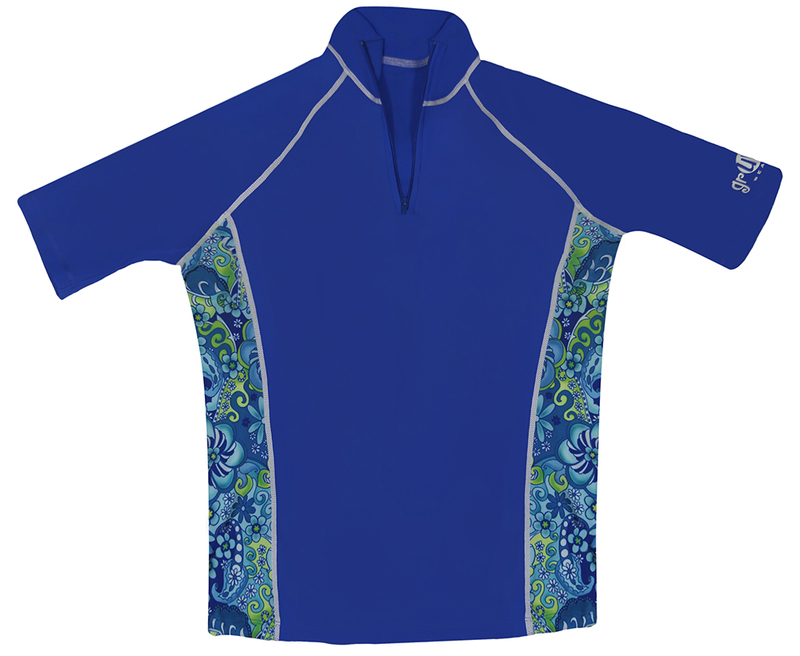 This flattering design with panels offers excellent UPF 50+ sun protection for beach, pool or any outdoor activity. Lightweight and quick drying it can be worn both in and out of the water. The quarter zip neckline allows for easy on and off. 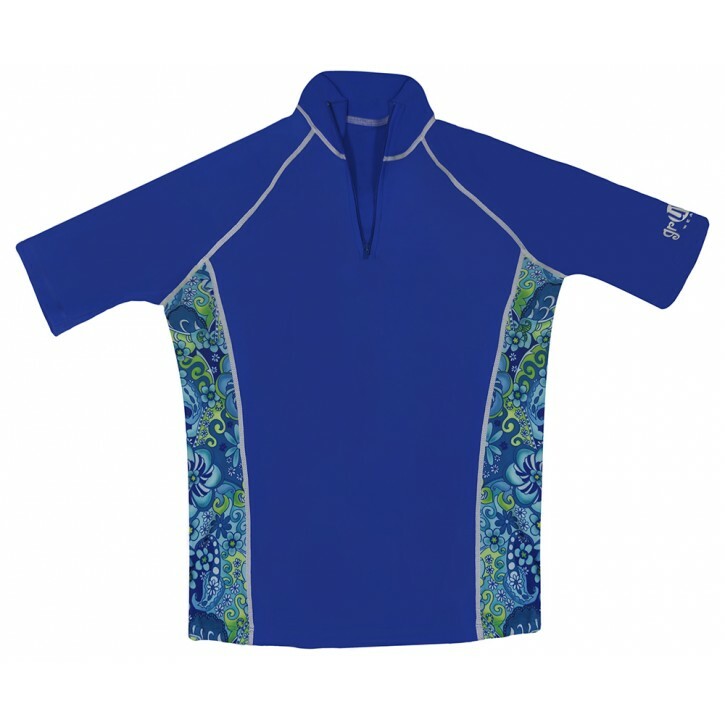 Please note that this is a UV protective shirt that is not lined but meant to be worn over a 1 or 2 piece bathing suit. Shirts are designed to have a generous fit so WE DO NOT RECOMMEND ORDERING UP A SIZE ON THIS LADIES ZIP TOP. Please review size chart.